In that example we will scp a file test.csv from testdb2 to testdb1. 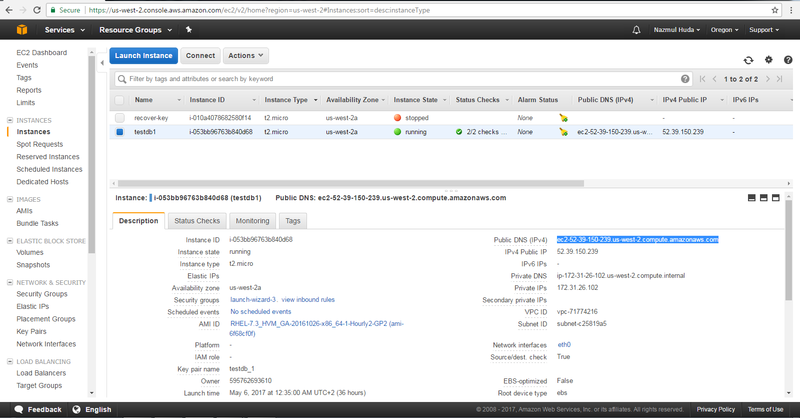 Testdb1 is the ec2 instance running redhat on aws and testdb2 is local machine running on redhat. In the avobe command we have scp the test.csv file using pem file to testdb1 ec2 inscance in /tmp location.